I would love to buy this on tape if you have any? cheers! @caykh: I can't see the tracklist! Is it posted somewhere? how I love this set. what a wonderful mix, thank you so much! @iregularlyenjoymusic: I added a tracklist now. Would love a track ID for this gem! @tropicofxhao: i am doing a bunch of new tapes this weekend. should be avalible next week or so. 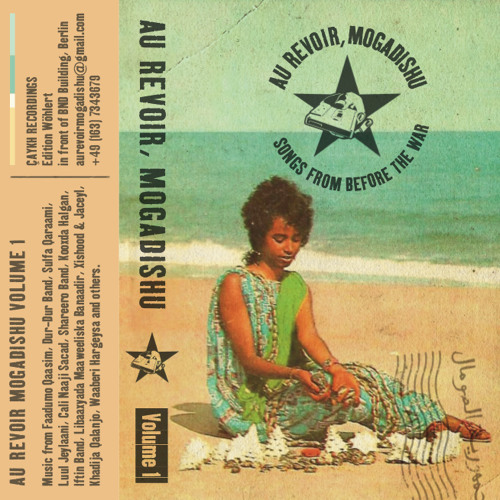 amazing tunes, the tape is in heavy rotation in my reactivated tapedeck - really special & hypnotic,especially side A - reposted it here: https://jocschwarz.wordpress.com/2015/07/18/au-revoir-mogadishu-tape/* thank you ! Very nice sound, is there coming a side B?